If you are looking for Dell Inspiron 7386 driver, then here are Dell Inspiron 7386 drivers for Windows 10 64 Bit you can download and install to let your laptop operate correctly. These drivers are also supported for Dell 13 7000 i7386-7007blk-pus and Dell inspiron 13 7000 i7386-5038slv-pus models. 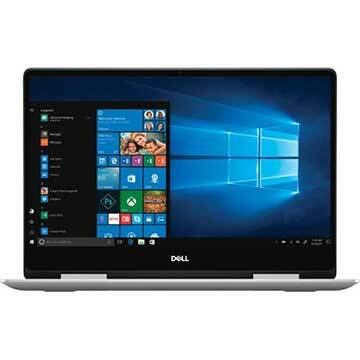 Dell Inspiron 7386 is 13.3 inch convertible 2-in-1 touch-screen laptop powered by 8th Gen 1.60 GHz Intel Core i5-8265U quad-core processor with integrated Intel UHD Graphics 620 video card. This notebook comes with up to 16GB DDR4 2400MHz onboard memory and m.2 PCIe Solid State Drive for storage. This mobile computer features dual band 802.11ac 2x2 WiFi, Bluetooth, USB 3.1 Gen 1 port, USB 3.1 Type C, HDMI port, multi-format card reader slot, HD webcam, backlit keyboard, stereo speakers with MaxxAudio Pro audio technology, and 3-cell Lithium-polymer battery.